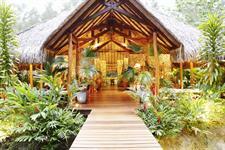 The resort features 80 units all decorated in Polynesian style. The beach suites offer a lounge area facing the beach, a private enclosed garden with an indoor/outdoor shower and a private jacuzzi and the main room is air-conditioned. 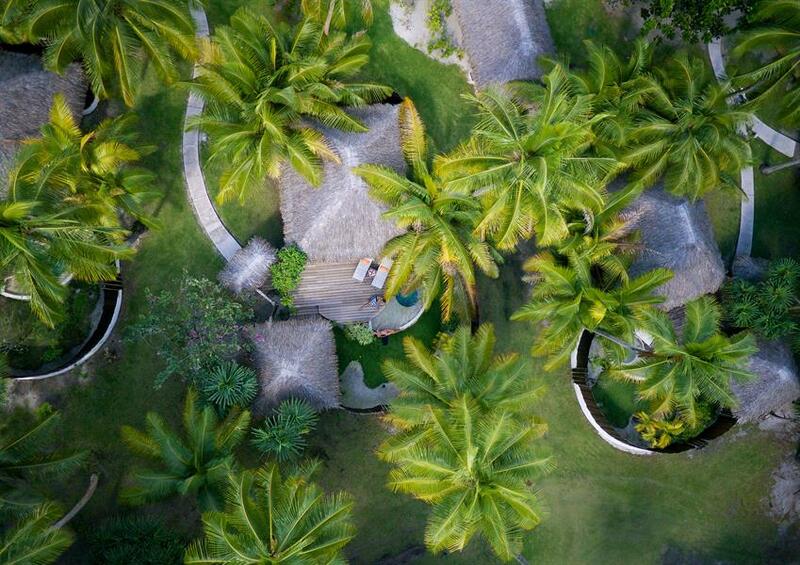 The 20 garden suites offer the same comfort as the beach suites with a private plunge pool and sunbathing area in the enclosed garden. 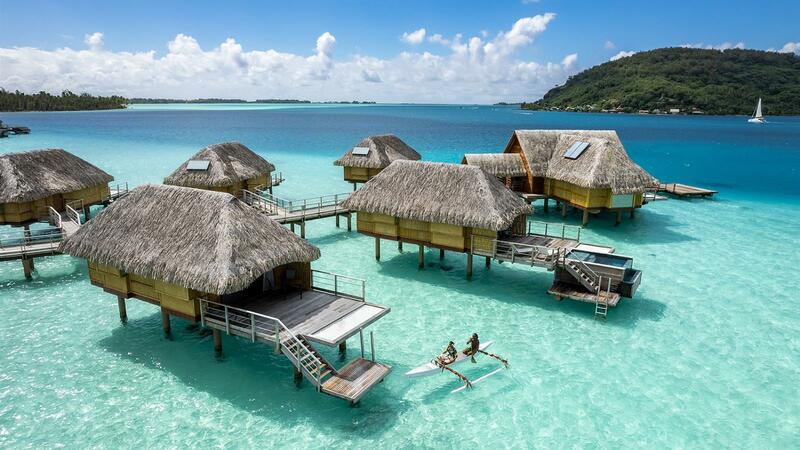 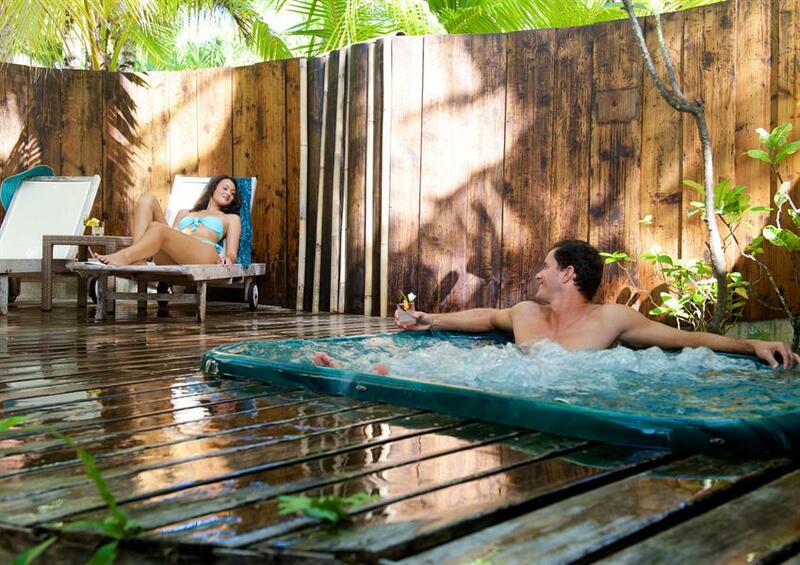 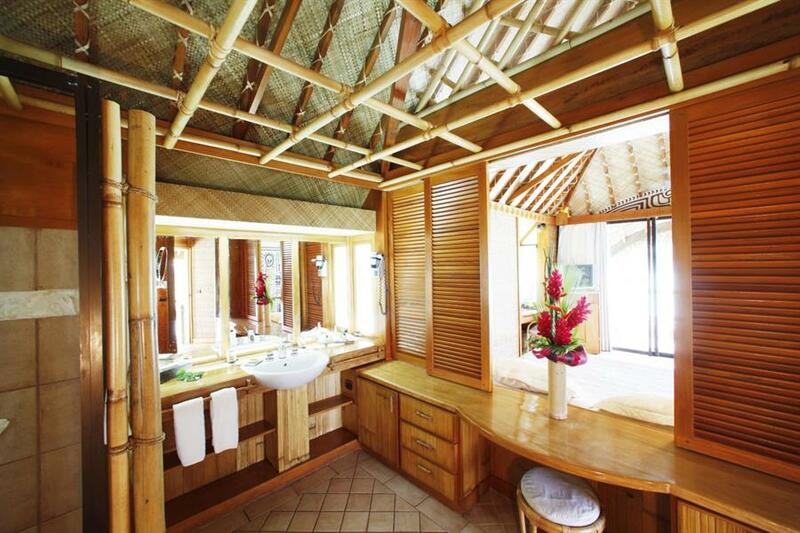 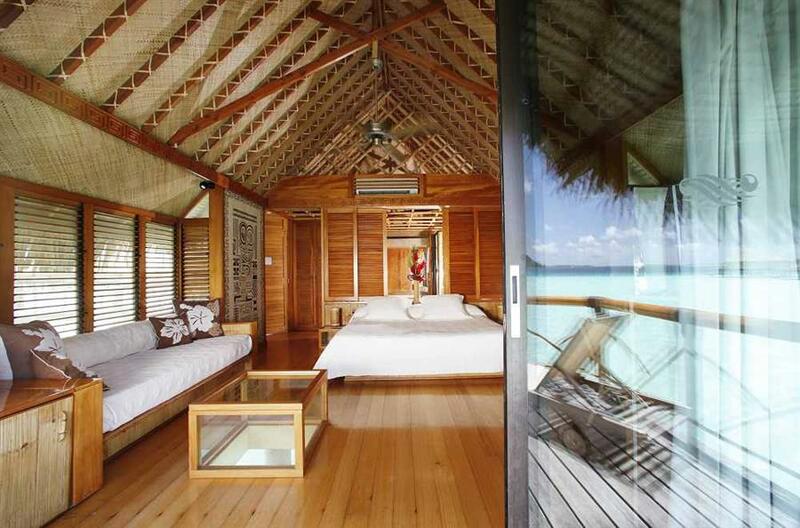 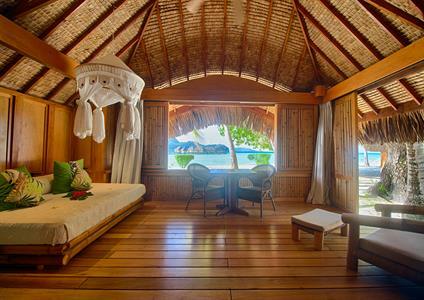 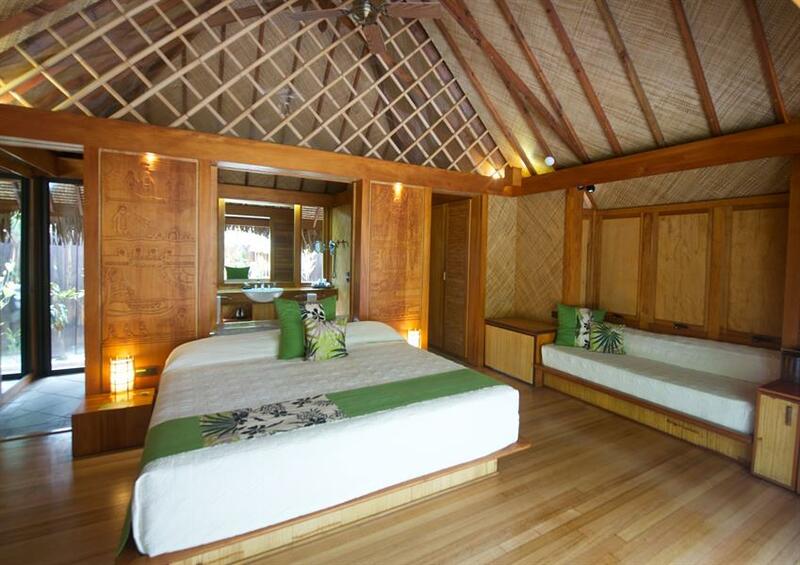 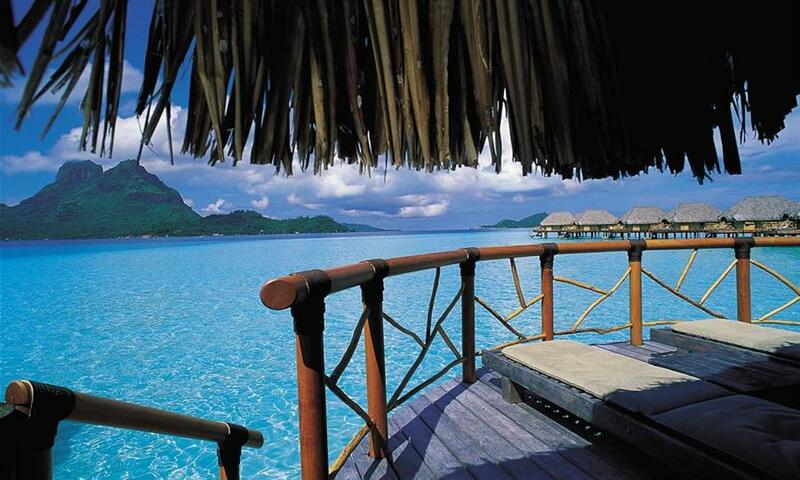 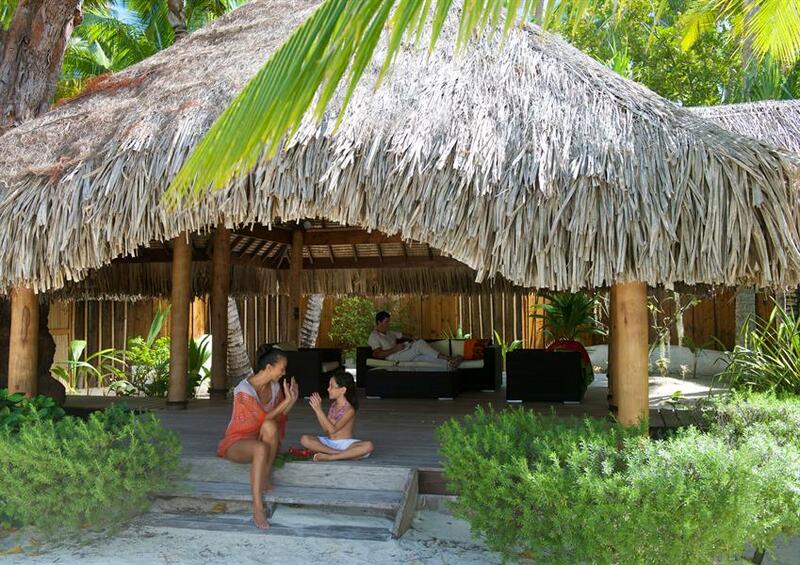 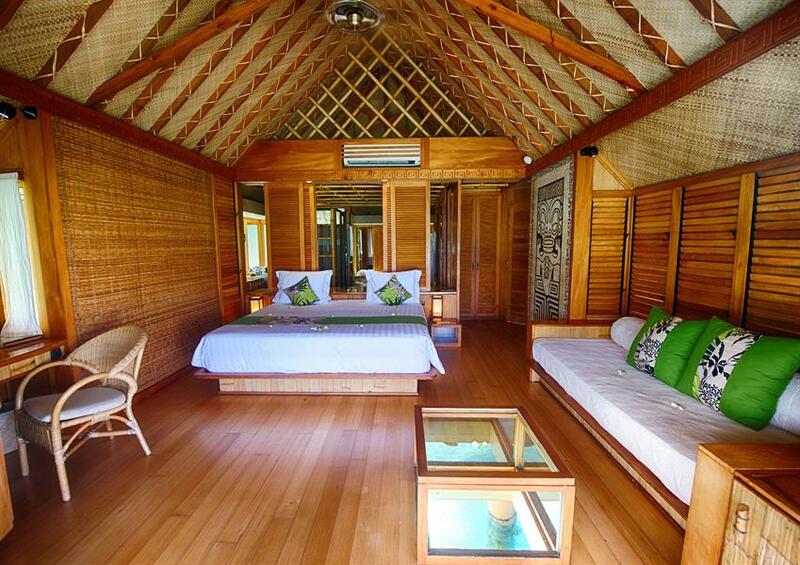 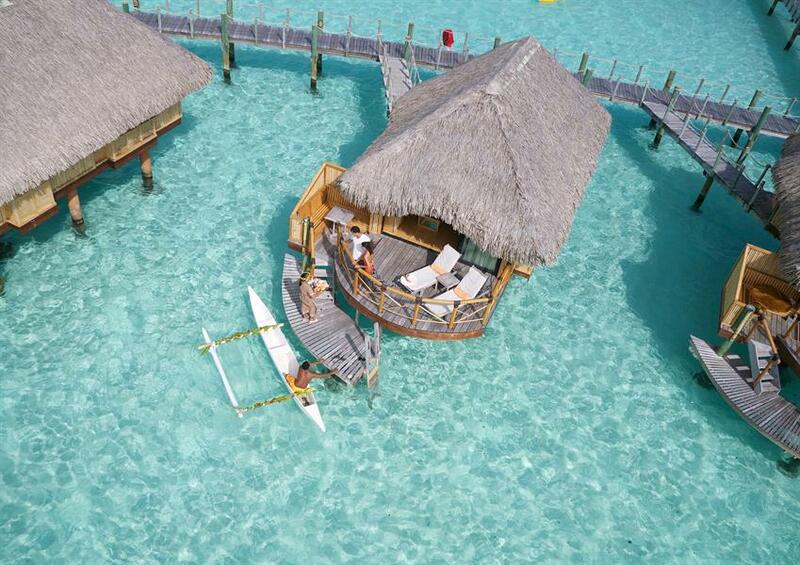 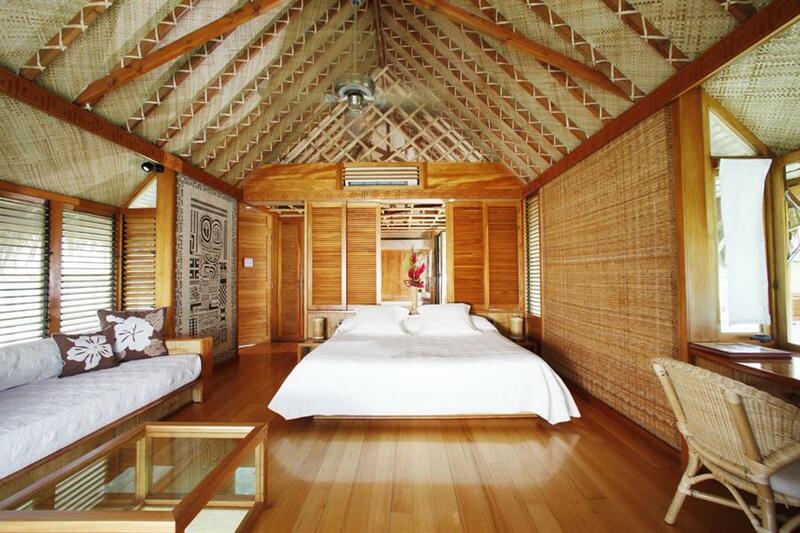 The overwater bungalows are equipped with a sundeck and a direct access to the turquoise waters of the lagoon. 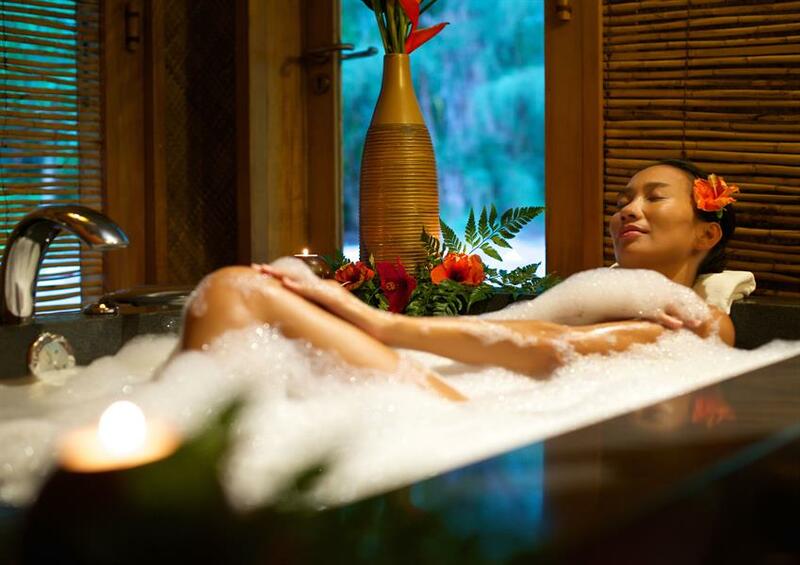 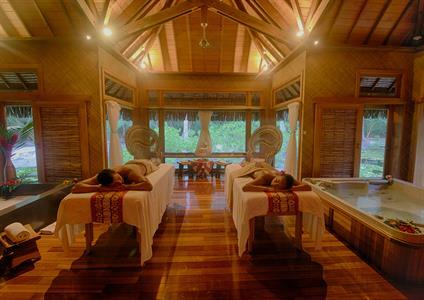 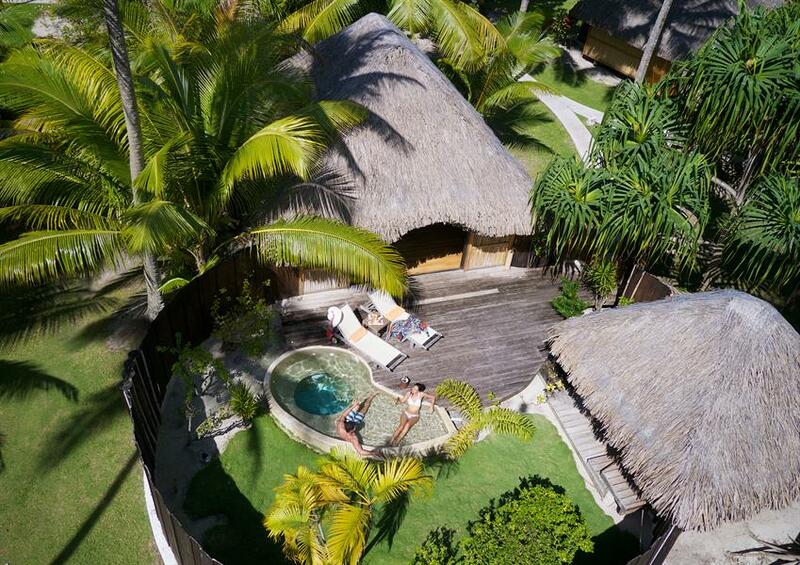 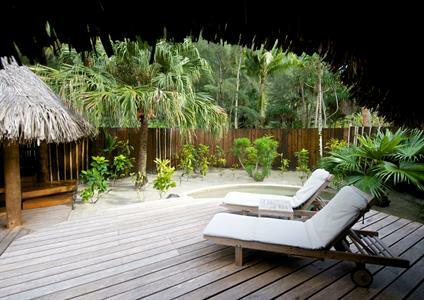 The Resort offers a large range of activities: the Tavai Spa set in a lovely garden, onsite diving center, swimming pool, tennis court, mini-golf, table tennis, volley ball court and bocce ball court, billiards and a wide variety of excursions. 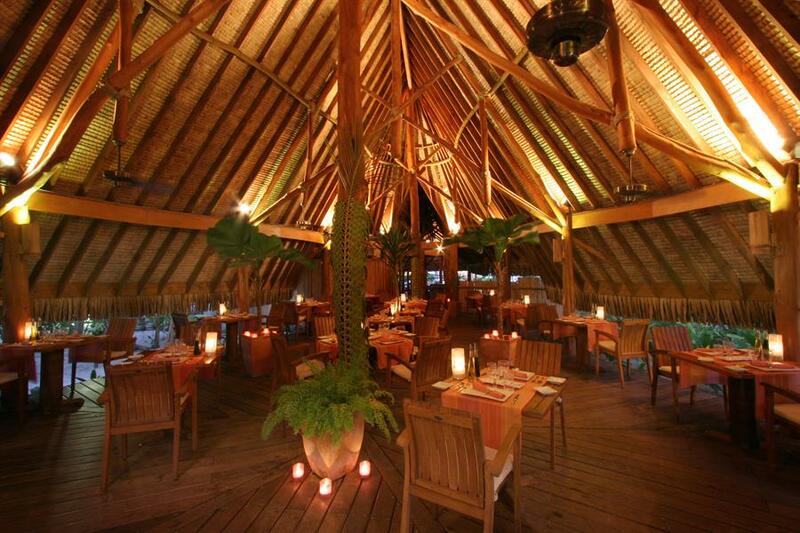 •	Tevairoa Restaurant: Tevairoa sits 20 ft. above sea level and overlooks the thousand shades of blues and turquoise of the Bora Bora lagoon, with a view of majestic and Mount Otemanu. 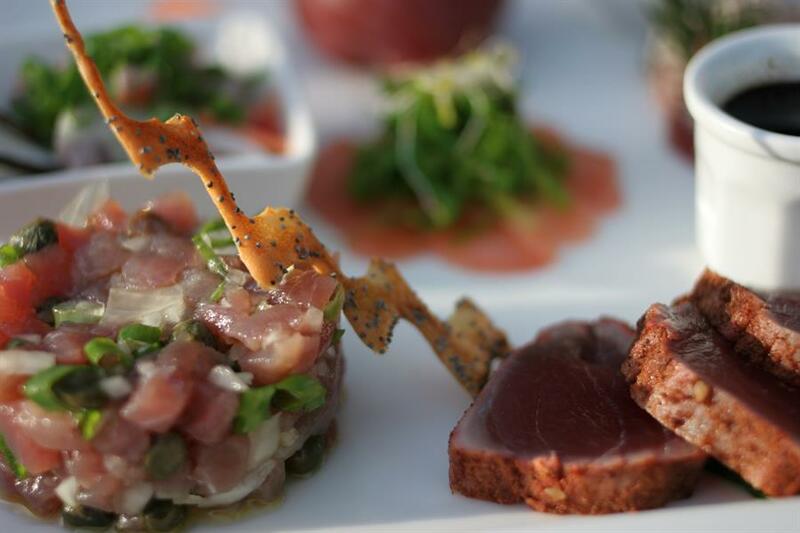 Indoors or under the stars, Tevairoa Restaurant offers guests an international cuisine using local products in an exquisite way of discovering Polynesian nature's bounty. 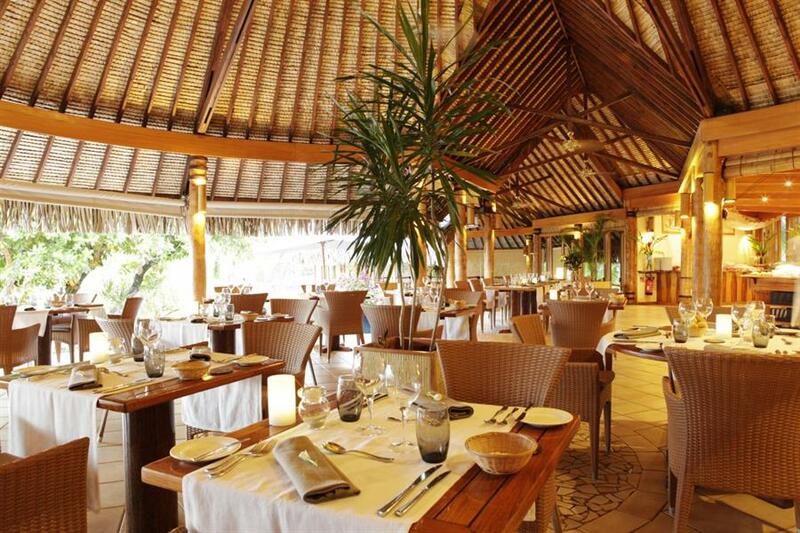 Once a week the restaurant hosts a Polynesian Night, with a Tahitian buffet and a spectacular Tahitian dance show. 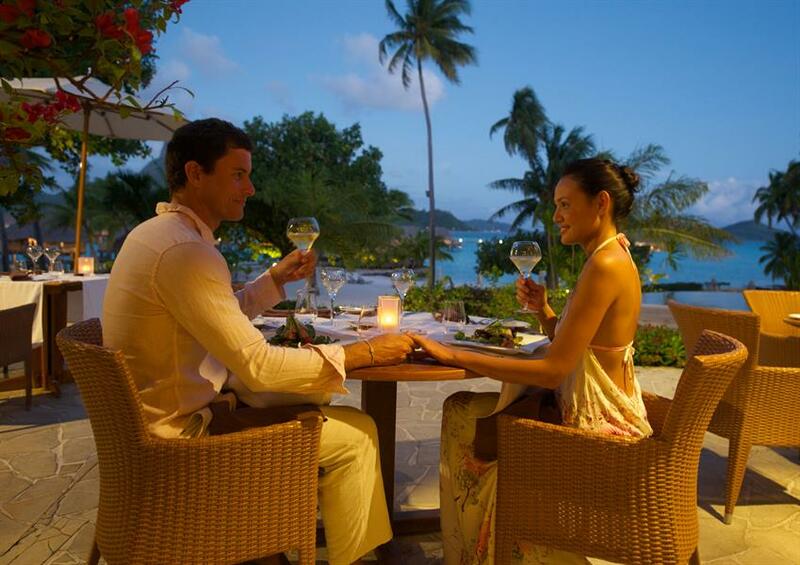 Open for Breakfast and Dinner. •	The Miki Miki Bar & Grill: The Miki Miki Bar & Grill is located next to the pool and just steps from the beach. 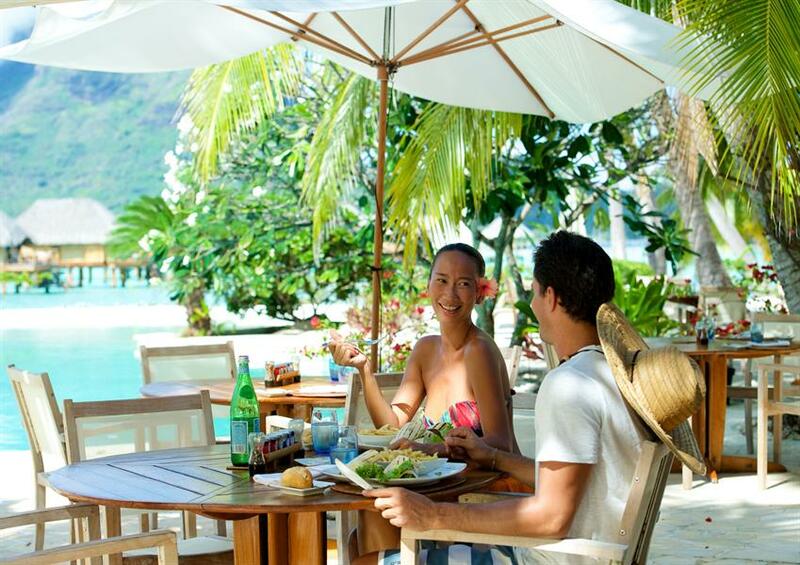 Enjoy food and bar service by the pool or under shaded huts from a menu that includes Tahitian raw or grilled fish dishes to pizza and pasta or vegetarian. 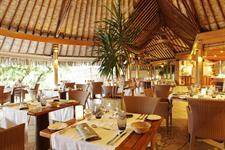 Open for all day dining (11.00AM to 8.30PM), except Dinner on Mondays. •	Taurearea Sushi Bar: Reservations through the Concierge Desk, are required as space is limited. 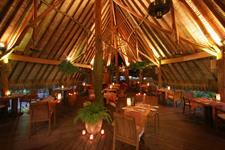 Open daily from 6.30PM to 10.00PM. Enjoy 1 night on arrival at the Tahiti Pearl Beach Resort, 3 nights at the Bora Bora Pearl Beach Resort and then 3 nights at Le Taha'a Island Resort & Spa. 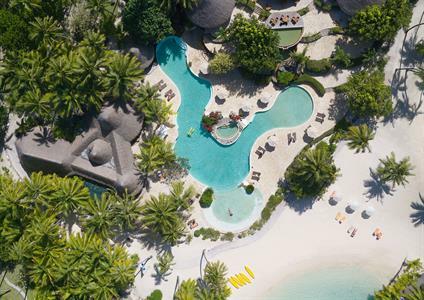 Package includes Overwater Bungalow accommodation at both resorts, Full Breakfast daily and for guests staying in April or November if booked by 31 March: complimentary nightly Dinner! Enjoy 3 nights at the Manava Beach Resort & Spa Moorea, a charming boutique hotel that provides guests with an authentic Polynesian experience, 3 nights at the Bora Bora Pearl Beach Resort & Spa; located on 17 waterfront acres taking advantage of the unspoiled coral reefs and blue lagoons followed by 3 nights at the Kia Ora Resort & Spa Rangiroa located near the Tiputa pass, along a large white sand beach bordered by coconut trees. 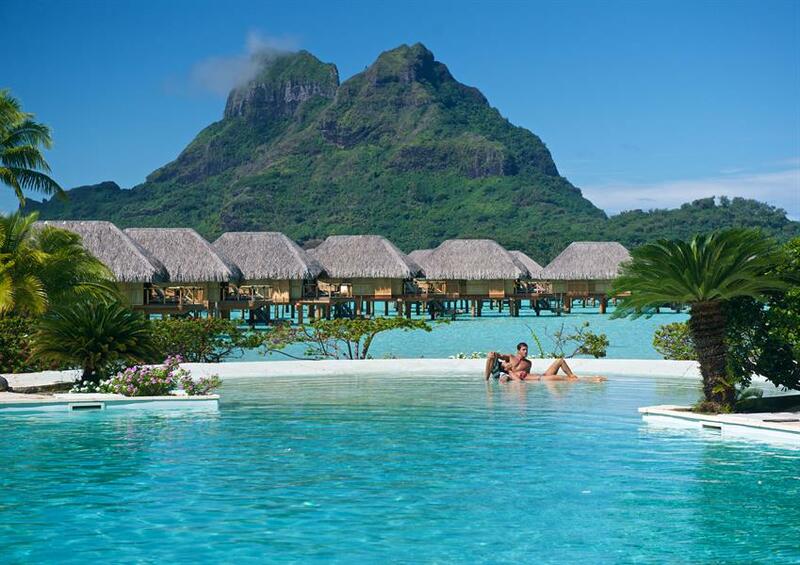 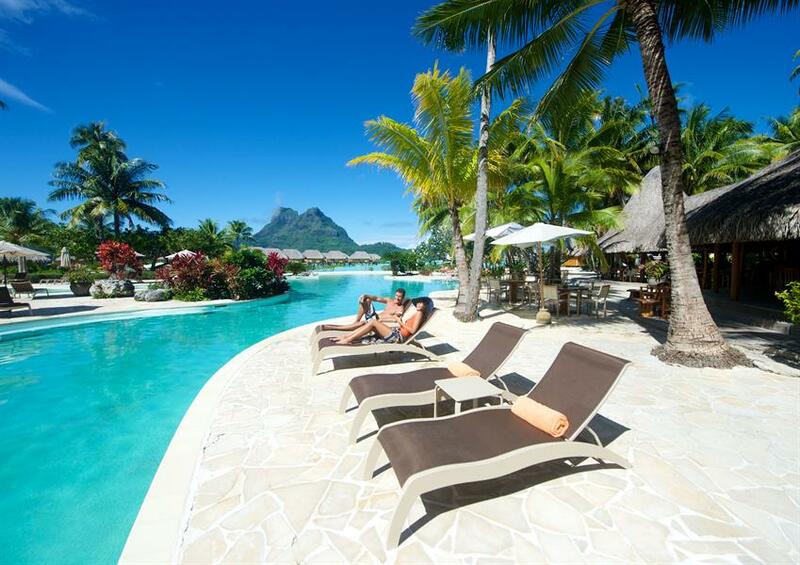 Enjoy 3 nights on Bora Bora: the “Romantic Island” staying at the Bora Bora Pearl Beach Resort & Spa with lovely views of Mt. Otemanu and then 3 nights at Le Taha'a Island Resort & Spa, a member of the prestigious Relais & Chateaux association where you’ll celebrate your love with a Tahitian Wedding or Renewal of Vow Ceremony. 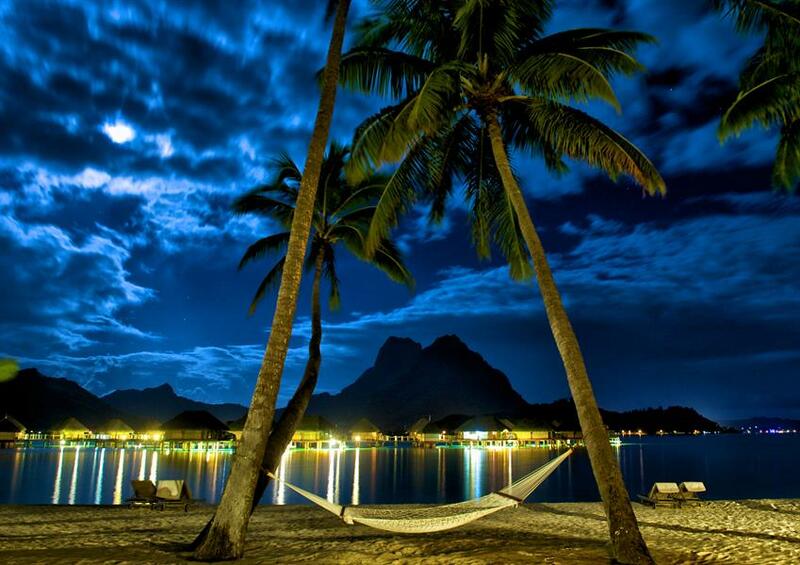 Enjoy 5 magical nights on Bora Bora: the “Romantic Island”. 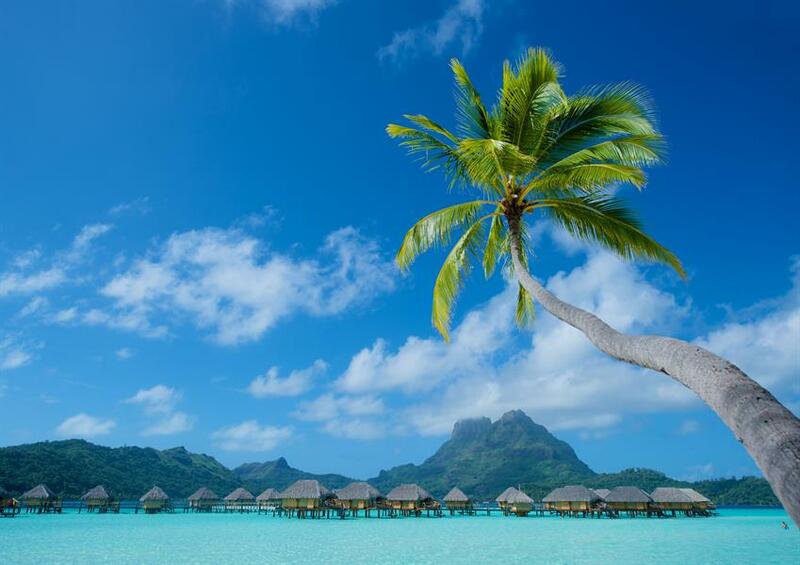 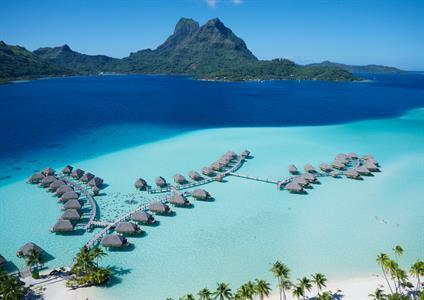 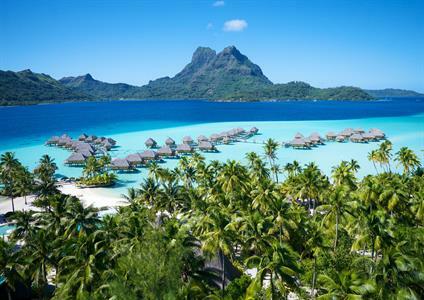 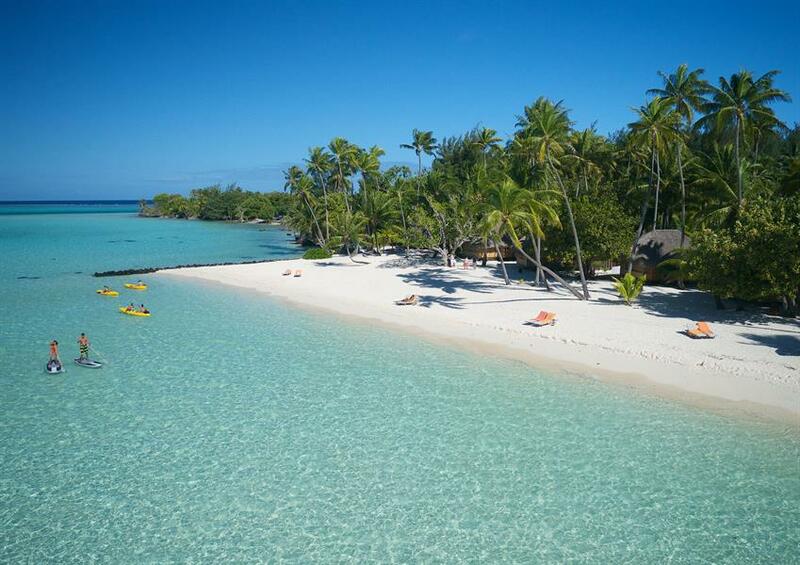 Choose from 3 Bora Bora resorts: the Bora Bora Pearl Beach Resort & Spa, Sofitel Bora Bora Private Island and Le Meridien Bora Bora with Full Breakfast daily. 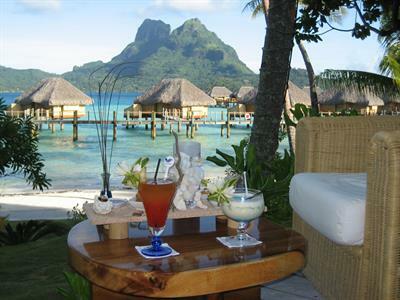 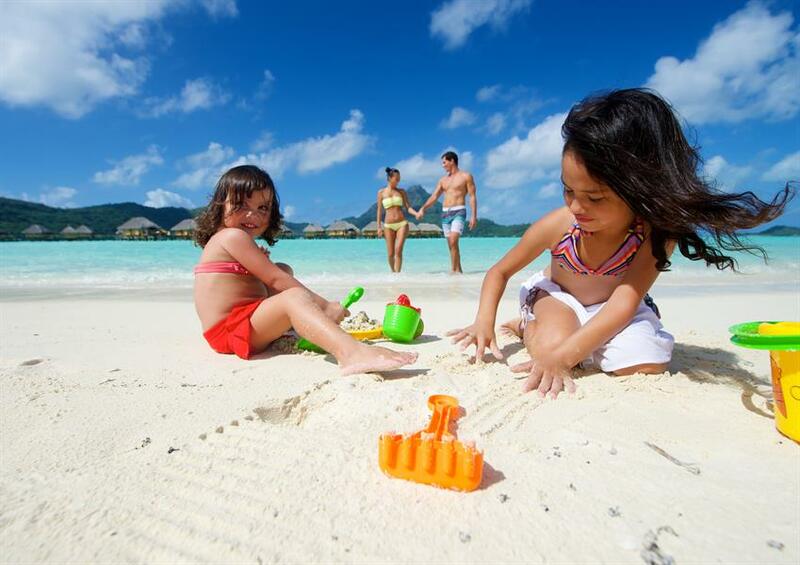 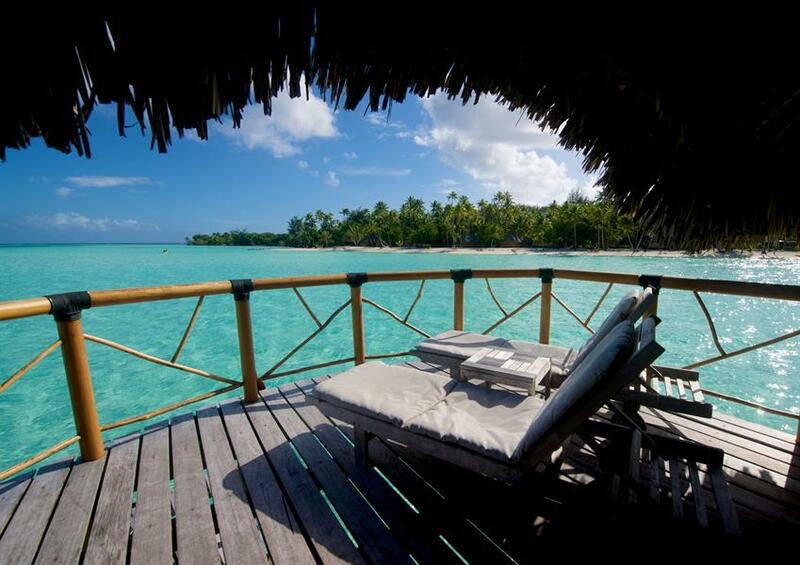 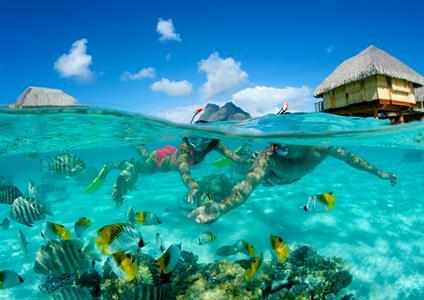 Enjoy 3 magical nights on Moorea: the “Magical Island” and 3 nights on Bora Bora: the “Romantic Island”. Choose from 2 resort combinations on Moorea and Bora Bora: the Manava Beach Resort Moorea and Bora Bora Pearl Beach Resort and the Sofitel Resorts with Full Breakfast daily, a Tahitian Black Pearl gift, a Resort Credit at select resorts and special Hotel Anniversary Bonuses such as Champagne or Tropical Flowers.